Invisible Clear Aligners – Invisalign clear, removable aligners cannot be seen when you or your loved one are wearing them! A Comfortable, Customized Fit – Dr. White will utilize advanced technology to create an impression of your mouth, so your aligners fit perfectly into place to avoid irritation. A Faster Treatment With Better Results – In only 9-15 months, Invisalign offers a 50% faster treatment solution than two years with traditional metal braces. When you or your loved one begins the Invisalign treatment you will receive several sets of custom fit aligners, and in just a few months you will have a straighter smile! As a patient of White Orthodontics, you have not one, but two great options to cut your Invisalign treatment by as much as 50%! AcceleDent & Invisalign – AcceleDent is a light, comfortable, and hands-free appliance that is used 20 minutes per day at home as a complement to Invisalign to accelerate your tooth movement. The non-invasive technology gently vibrates your teeth and surrounding bone, allowing the teeth to move more freely. Propel & Invisalign – Our quick & safe in-office Propel treatment works to stimulate the bone and tissue surrounding your teeth, so Invisalign can work more quickly to produce your final, beautiful smile. With Propel, you can accelerate your orthodontic experience without sacrificing aesthetics. Don’t forget that quicker treatment also means fewer trips to the orthodontist office for checkups, too! With accelerated Invisalign treatment, you’ll have more time to do the things you love. Call 804.747.7447 or click here to schedule your free White Smile Analysis, and learn more about how Dr. Paul White can give you your perfect smile in a fraction of the time. Indeed, with accelerated Invisalign treatment from White Orthodontics, you’ll be able to achieve your ideal smile at “White speed”! How Do I Know Which Type Of Orthodontics Is Right For Me? There are many benefits to the different types of orthodontics that White Orthodontics offers. You may find that a certain type of orthodontics fits your lifestyle better than the others. Ultimately, you and Dr. White will determine which solutions are the best fit for your case and lifestyle. Start Your Journey To Your Best, Most Harmonious Smile Ever! At White Orthodontics, we want to ensure you are confident with your decision for not only your choice in orthodontic treatment, but also for the orthodontic practice you choose to start your treatment. To ensure you are completely confident in your decision, we offer a few no-obligation, no-pressure ways to get started! 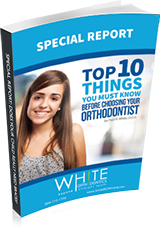 Find out what the most important aspects are in choosing the right orthodontist for you by reading our free report, "The Top 10 Things To Know Before Choosing Your Orthodontist." 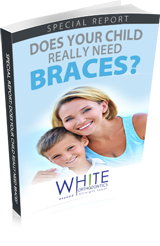 Take this assessment to see if White Orthodontics is the right fit for you or your family! Click here to fill out the form to receive your complimentary White Orthodontics Smile Analysis, a $250 value! Call 804.747.7447 to speak with a White Orthodontics team member right away! "Dr. White and his staff are so great with the kids and patient with the parents and all the questions we (I) ask!" - Kelly R.
"Awesome bunch!!! Everyone is always friendly and Dr. White is the best." - Tiffany R.
"Very friendly staff. Awesome office. Dr. White is the best!" - Chris W.
"I highly recommend White Orthodontics. 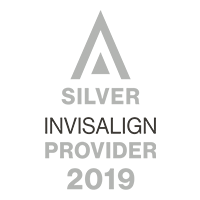 Dr. White uses state-of-the-art techniques, and in my opinion, does excellent work." - Peggy R.
*The reviews listed are from actual patients of Dr. Paul White Of White Orthodontics. Individual results may vary. Reviews are not claimed to represent results for everyone. Richmond, VA's favorite award-winning Orthodontist, Dr. Paul White of White Orthodontics offers the most advanced braces for children, teens and adults, including metal braces, Invisalign, Invisalign Teen, braces behind your teeth, clear ceramic braces and even braces to help you achieve your confident smile 50% faster! Call 804.747.7447 today for your free consultation for braces at our conveniently located orthodontics office near Richmond, Virginia (VA) and Glen Allen, Virginia (VA). Come experience White Orthodontics and you will see we offer innovative and effective orthodontics with a smile in Glen Allen, VA (23059), Richmond, VA (23233, 23059, 23060, 23229, 23228, 23223, 23226, 23227, 23113, 23230, 23238), Fredericksburg, VA (22401, 22405, 22406, 22407, 22408), Ashland, VA (23005), Mechanicsville, VA (23111, 23116), West End, VA (23221), Short Pump, VA (23233), Hanover, VA (23069), Louisa, VA (23093), Midlothian, VA (23112, 23113, 23114), and Goochland, VA (23063).